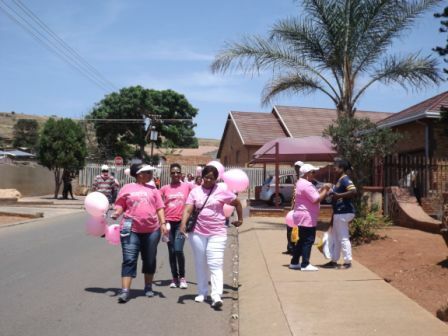 On Saturday, 14 October 2017 Rita, Jasmeen and Emily who are all RFR volunteers from Pretoria joined women of the Saulsville Methodist Church and took to the streets to spread the message of breast health. 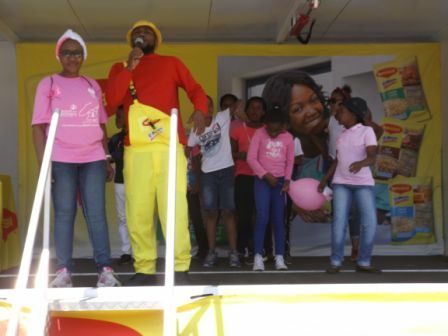 The campaign was organised by Major Puleng Bucibe, not a breast cancer survivor herself, but a person with a heart for spreading awareness both at work (Mobile Military Health) and in her own suburb. This is the second year that Rech for Recovery was invited to participate. 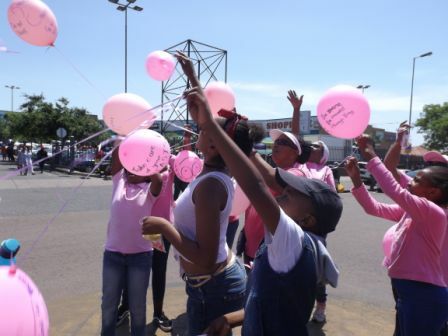 Children joined in spontaneously handing out pink ribbons and telling women as well as men to examine their breasts!! 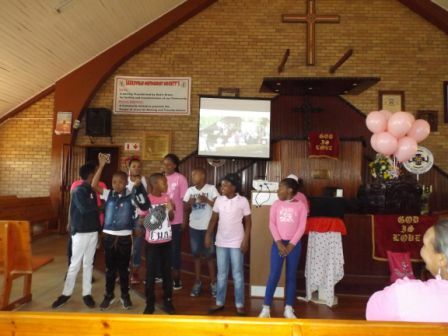 The children also sang and danced – and listened attentively to all the talks. Surely they are well informed for their age! Our volunteers Rita, Jasmeen, Emily, and the ladies went to the streets to hand out many, many pink ribbons after the talks at church. Balloons were released and grabbed by others, and so the message spread to homes. Major Puleng Bucibe had an opportunity to talk over the microphone at the local MALL to encourage women to do Self Breast Examination. 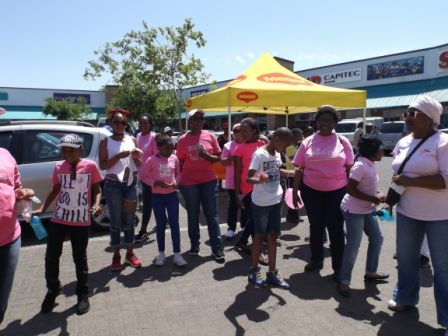 Major Puleng Bucibe had an opportunity to talk over the microphone at the local MALL to encourage women to do Self Breast Examination. The children also sang and danced – and listened attentively to all the talks. Surely they are well informed for their age! 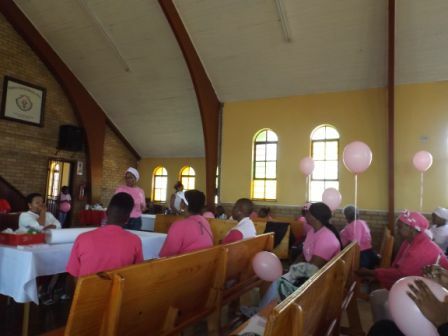 It was such a pleasure that the children joined spontaneously handing out pink ribbons and telling women as well as men to examine their breasts!! Balloons were released and grabbed by others, and so the message spread to homes. Our volunteers Rita, Jasmeen, Emily, and the ladies went to the streets to hand out many, many pink ribbons after the talks at church. PULENG BUCIBE was the enthousiastic organiser of these events. Not being a breast cancer survivor herself, but a person with a heart for spreading awareness both at work (Mobile Military Health) and in her own suburb.